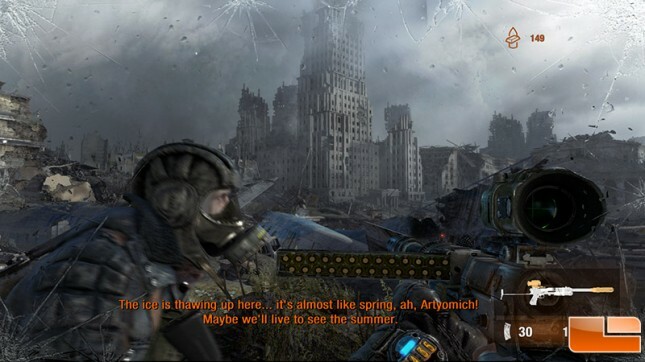 Metro: Last Light is a first-person shooter video game developed by Ukrainian studio 4A Games and published by Deep Silver. The game is set in a post-apocalyptic world and features action-oriented gameplay with a combination of survival horror elements. It uses the 4A Game engine and was released in May 2013. 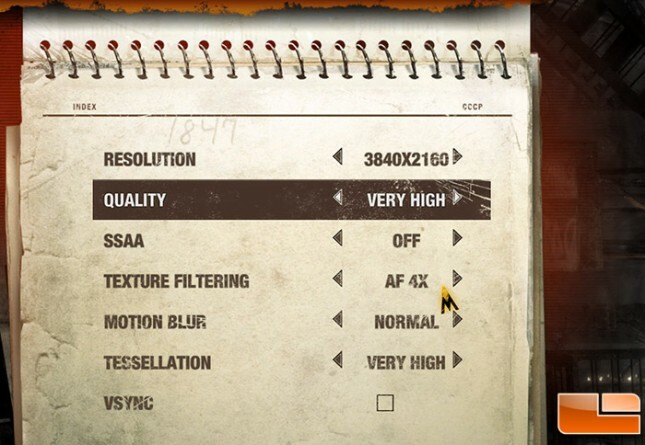 Metro: Last Light was benchmarked with very high image quality settings with the SSAA set to off and 4x AF. These settings are tough for entry level discrete graphics cards, but are more than playable on high-end gaming graphics cards. We benchmarked this game title on the Theater level. 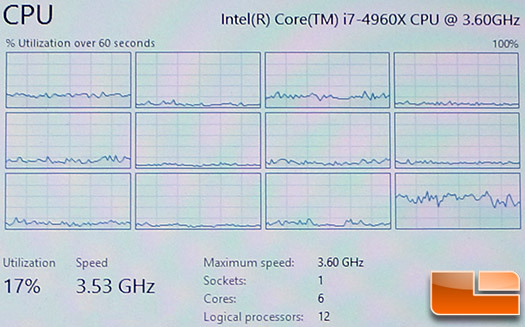 We again found around 20% CPU usage on Metro: Last Light. 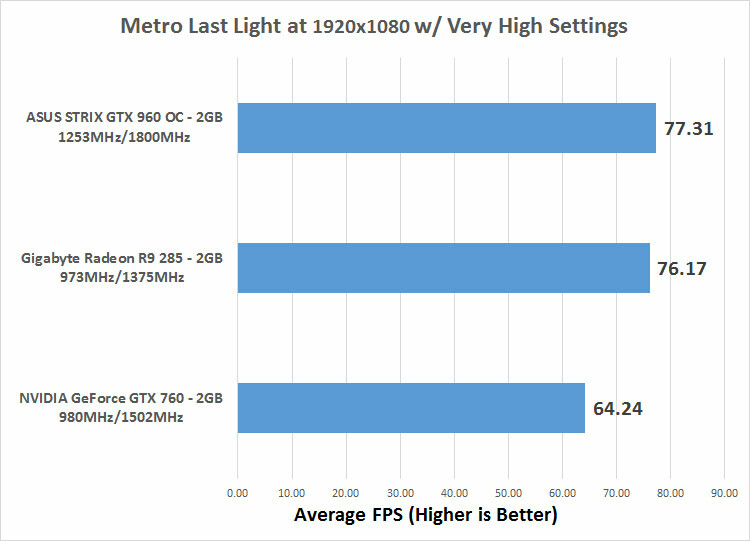 Benchmark Results: In Metro: Last Light the Radeon R9 285 averaged 76.17 and the GeForce GTX 960 averaged 77.31! There is just a single frame per second difference between these two competing cards in this particular benchmark with these drivers. The NVIDIA GeForce GTX 760 2GB reference card averaged 64.24 FPS.